This is short note, not an essay! First visit a few months ago was pretty bad. No writing, no nothing! But a few weeks back somebody said, "Try them out, now". That stuck in my brain, because this is one cuisine that is so wrong in Chennai! Yes, I did rant about it a couple of blog posts back. So, the visit was a pleasant surprise. 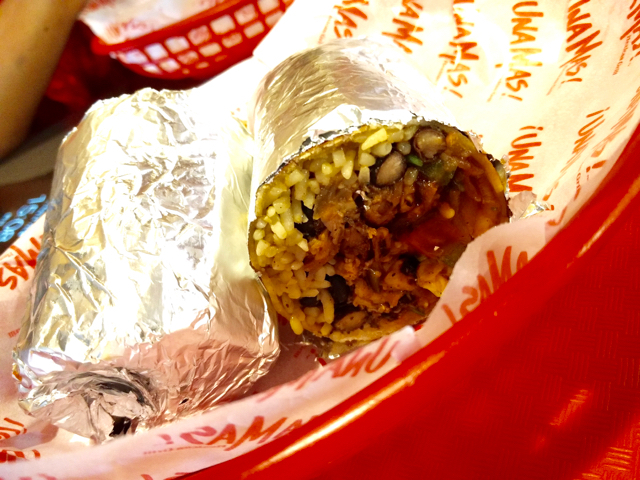 While it leans towards being Tex Mex from the flavour profile and having only the popular stuff and not having the many popular things from Mexico, I think it maybe too much to expect Mexican Mexican from any place in Chennai and there are bound to be overlaps. Especially since there is real overlap between Tex Mex and Mexican. I had only 3 dishes. A chicken burrito and a chicken Taco. Tacos are available in both soft shell and hard shell. While Mexican version is mostly soft shell, I like the Tex Mex version and went for it, so I don't know if their soft shell is corn or flour tortilla, the hard one was corn. The fillings are all from a bunch, so whatever you order they will be similar. Almost like a Subway, so now that their fillings are similar to the Mexican flavours, both the burrito and the Taco were pretty nice. What was surprising though was the Churros. While it is a Spanish dish, which is available in Mexico, I am not sure if it has a Mexican history. Who cares? Because when done well, it is a simply beautiful dish. Normally a breakfast dish. And as simple as it can get. I mean, it is just fried dough! But when done well, it is crispy on the outside and soft on the inside. The churros here, at least that day, were fried to perfection. 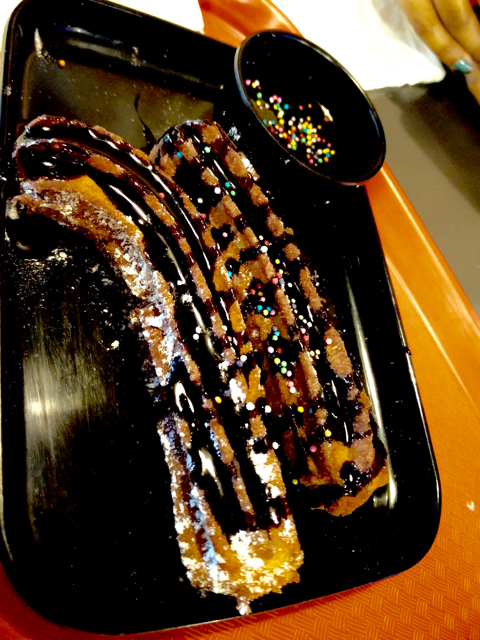 The chocolate sauce was bordering on ordinary and barely complimented the churros, but the churros were nice! The burrito was Rs. 179 and the churros and taco were Rs. 79 each. Plus taxes. So, one more place besides Spoonbill to douse the cravings for these flavours. Want to see how their nachos is! Una Mas is on Kodambakkam High Road a little further down Palmgrove Hotel, but on the opposite side.